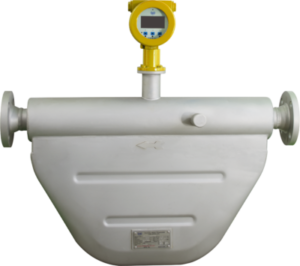 Coriolis mass flowmeter is a major advance in mass flow measurement. These meters have got a precedent for accuracy and repeatability under a wide variety of flow conditions. The inherent precision has established it as a standard for numerous industrial applications. The ability of these meters to measure mass flow and density directly has led to their use in applications ranging from metering food products to corrosive chemicals. Coriolis meters have proven extremely reliable when metering noncorrosive fluids. The same reliability can be achieved in corrosive services if consideration is given to the compatibility of the process fluid with the sensor materials of construction. Coriolis technology appealed to us, after all, coriolis is the most accurate technique available for measuring process mass and volume flow.